Our Pioneering Little Sahaabah team, who laboured and shaped our values of belief, hope, dedication, compassion and harmony. May Allah bless and aid them always. Hijrah began in 2015, organising spiritual retreats for organisations. Our After-School Adventure Club (Little Sahaabah) was registered in 2016, and approved to administer the MSF Comcare Student Care Financial Assistance. 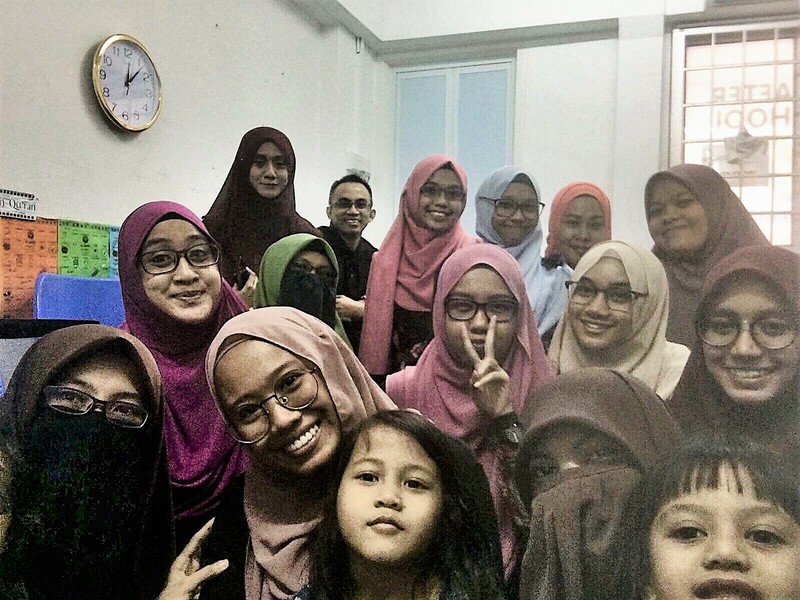 Besides the Little Sahaabah, Hijrah conducted workshops and support groups, addressing various grief, adjustment disorders and situational stressors, advocating for Hope and Restoring Harmony. Our niche is to present psychological theories and practices, culturally adapted for the Malay Muslim community. In June 2018, we officially launched our Counselling Services. A variety of therapies including Islamic Psychology Counselling, are provided by Counsellors certified at Masters of Counselling level. Hijrah Pte Ltd was started by Ustazah Noraini Abdul Hamid – to provide support to friends and organisations, in organising spiritual retreats – which served as a platform of gentle social support and therapeutic alliances. Ustazah Noraini is also an enthusiastic curriculum developer, who crafted children’s enrichment and lap-booking programs for Aspire Institute. She developed the Little Sahaabah program in 2015 to occupy her 3 primary school-going boys, with meaningful activities after they return from school. This program was adopted by Aspire Institute and called, After-School Tahfiz. When Aspire Institute decided to focus on building their other programs, the After-School Tahfiz was renamed After-School Adventure Club. This program is now fully run by the management team of Hijrah Pte Ltd.
Ustazah Noraini Abdul Hamid, is currently a Professional Mental Health Counsellor and Psychotherapist and remains a mentor, advisor and program developer to Hijrah Pte Ltd.